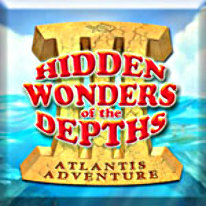 Travel to the legendary world of Atlantis for match 3 fun, and discover the Hidden Wonders of the Depths! Use powerful tiles to clear a path as quickly as you can, and chain together crazy combos to rack up points. Experience a magical underwater world as you help bring a once powerful empire back to life!